Hallow’s End is here and I’m sure that at least some of your are trying to get the Horseman’s Mount and are eating way too much virtual candy. 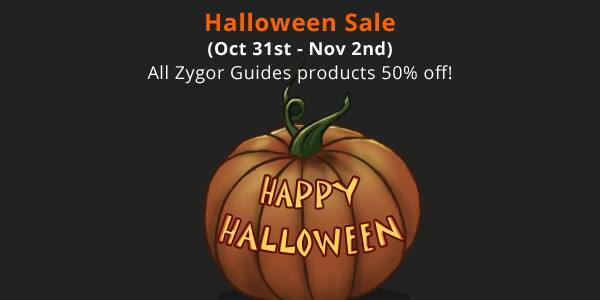 Well, Zygor Guides are having a sale to celebrate. Why? Maybe they got their mounts? That Celebration means that you can get a big discount on any or all of their guides. Everything is half off! Zygor Guide is an n in-game level guide which will blast you through the quests ASAP, regardless of your experience or gear. You’ll never wonder where to go or what to do and you’ll hit 90 very quickly. It’s Halloween and they are offering a nice treat. They’re having a 50% off sale on ALL of their guides, but only until Nov 2. Take this coupon code with you, though you might not even need it: TRICKORTREAT. 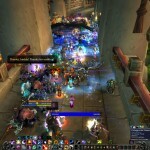 Zygor guide is an in-game addon that will take your through the quests, for any race or class, as quickly as possible, and it’s fully updated for all of the latest patches. It’s like having a guide looking over your shoulder, showing you where to go and what to do. You’ll take the most efficient route to 90 and skip everything that you don’t need (unless you want Loremaster, then it will help you do all those quests.) It’s also smart enough to know your level and your location. If you’re leveling quickly (eg: lots of rest XP,) or you level up a few levels in the dungeons or PvP, Zygor will “see” your new level and tell you the best place to go next. It even gives you a way to dump the old quests. You’ll never find yourself cruising around in an area that’s too low or too high for you. It even has a difficulty setting in the options, so if you want things a bit tougher or less tough, just click a button. Whether you’re brand new to WoW or decked head to toe in heirlooms and the best gear Zygor will blast you through the levels ASAP. It can auto accept quests and turn-ins, help with gear, help with talents, and so on. You’ll never again wonder where to go or what to do next. And it’s 50% off for the next few days. Grab it now. Like most people, you’re probably hanging out on the Timeless Isle a lot since the 5.4 patch and it can be very confusing at first with so many rares spawning all over the island and no clue where they are. There is also the new Timeless armor tokens like Timeless Plate Chestpiece that can be found as drops from monsters as well as from chests hidden all over the island. Here are a few of the addons that you may see many people using to keep track of rare spawns and times, as well as a few of my favorites for locating bosses and all the hidden chests. HandyNotes – This is the main addon to add notes to the map. It’s required for all the other “notes” addons to work. HandyNotes_TimelessIsleChests – This will show you the locations and types of hidden chests all over the island. For some harder to reach chests it will tell you how to get them. HandyNotes_TimelessIsle_RareElites – This addon will show the main spawn points for all rare bosses on the island. They are marked on your main map as skulls. Rare Spawn Overlay – This is pretty much the same as the one above, but it has the names written out on the map and spawn locations highlighted with colors. It’s like npcscan overlay if you’ve ever used that. RareAnnouncer – This one is very good for knowing when to go to a rare boss spawn location to kill them. Most of the time the bosses will die so fast that unless you were there when it spawned you will have to chance to get a hit in and get some loot. This addon will put a timer on your screen that will let you know how much time has passed since the last time the boss was killed. Most of the bosses spawn around every 45 mins so this will give you a good idea of when you should start heading to the boss spawn point. 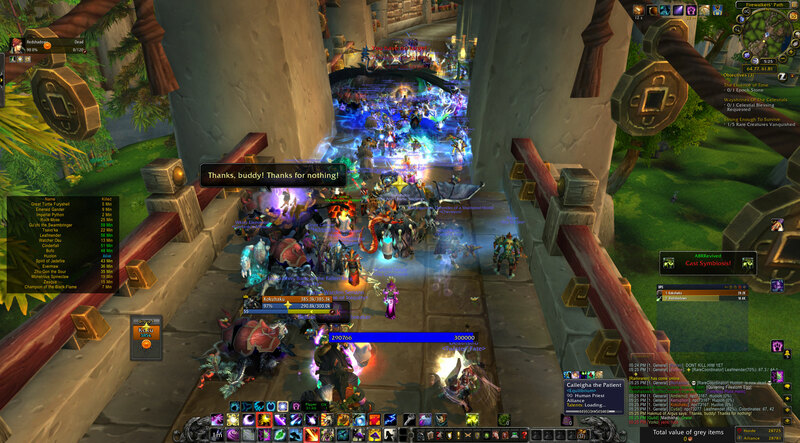 _NPCScan – This addon will makes a noise and flash the edges of the screen when a rare is nearby you. It will also let you target the rare and market with a triangle so you can find it easily.